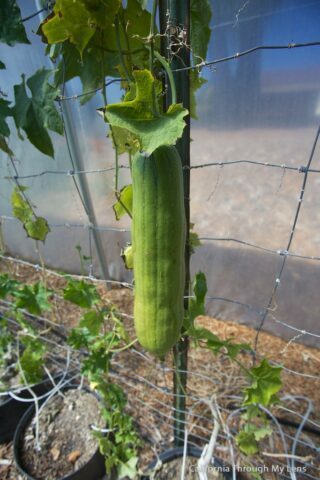 Yes, luffa’s like the ones you use in the shower and yes they do grow out of the ground. 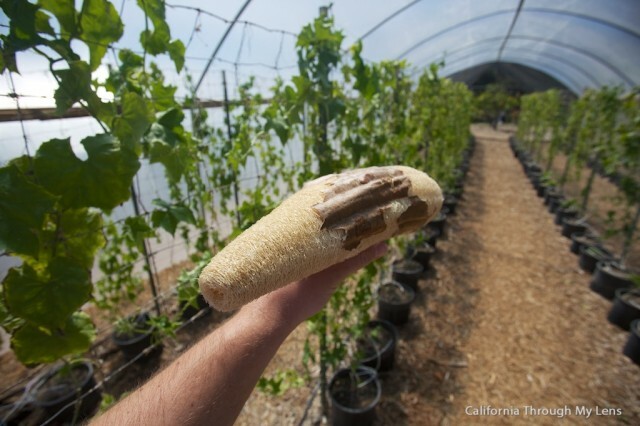 Now that we have that out of the way we can talk about the awesomeness that is a luffa farm. 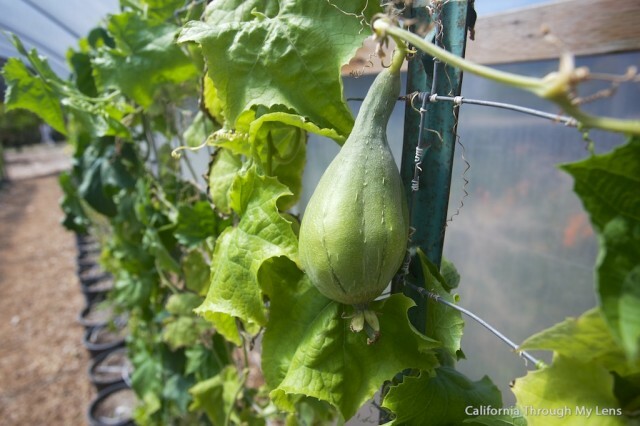 Located in Nipomo, right off the 101 freeway, the Luffa farm is a great stop for the whole family as the farm is informative but doesn’t take itself to seriously either. 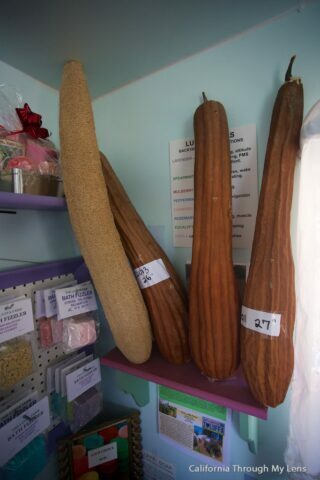 Heck, you can even buy a new farm grown luffa to take home if you feel so inclined. 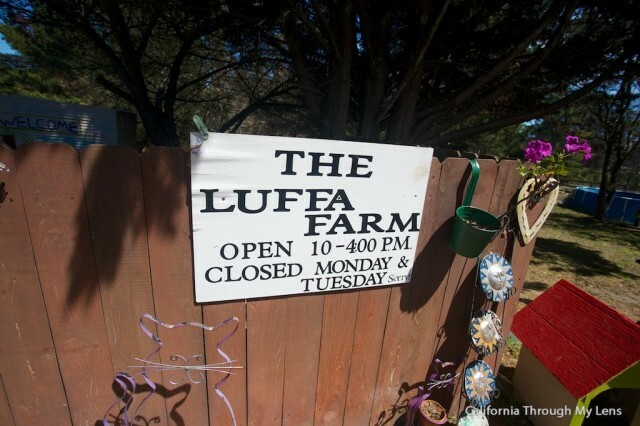 As soon as we got off the freeway we started seeing signs for The Luffa Farm. 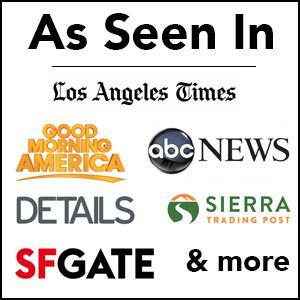 You can easily see that it must be a draw for the area with all the small signs that lead you there. 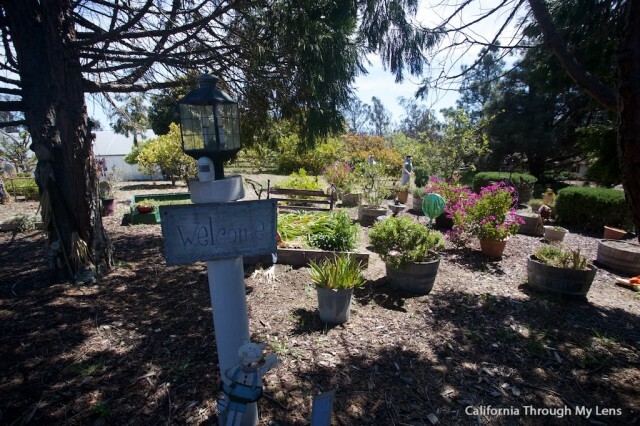 When you pull off on the small one lane dirt road that leads you to the farm you will see signs on pretty much every tree encouraging you forward. After parking we were greeted by Joseph the tour guide of the day for our time at The Luffa Farm and he was very knowledgeable, the tour began quickly. 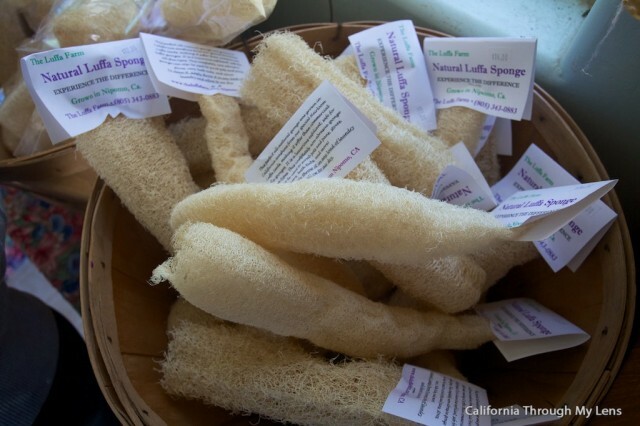 It started with him showing us the difference between a luffa you would buy in the store with a bunch of chemicals in it and a fresh luffa from the farm, it was a big difference for sure. 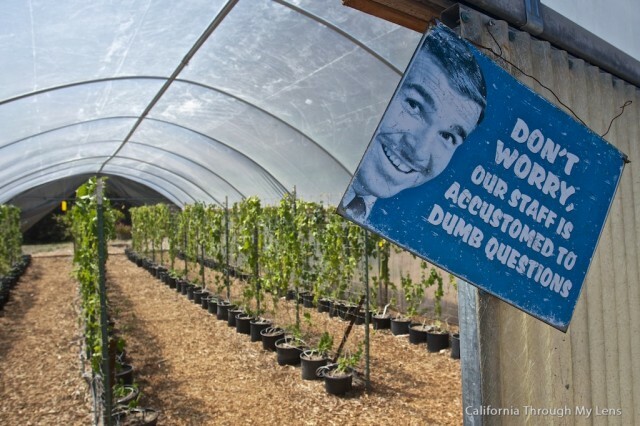 After that he took us into the luffa greenhouse where they were actually growing. 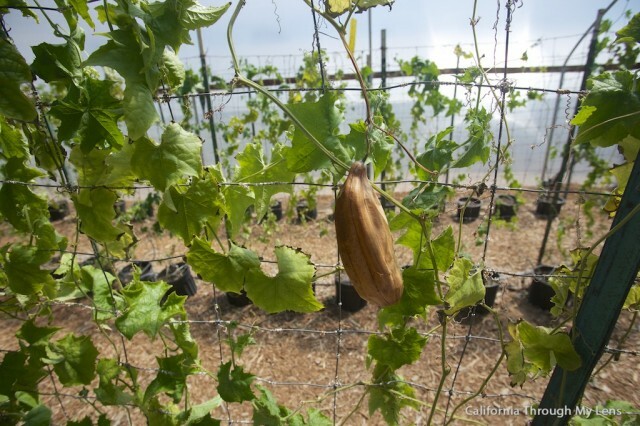 When we were there it was pretty scarce as they had recently been picked but there were still a few on the vine that he showed us. He also told me that you can eat them as well, they are like a zucchini in consistency. 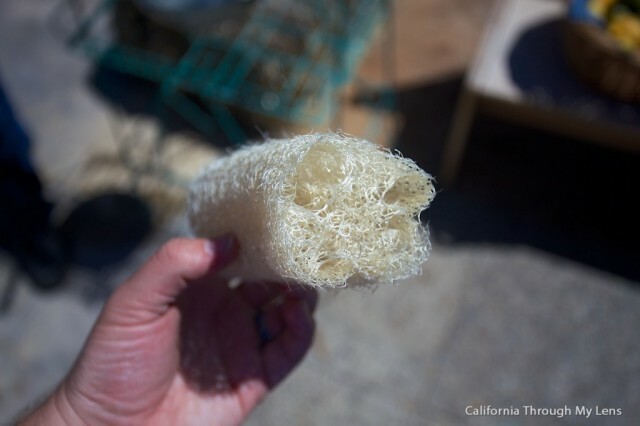 He showed us the process for creating the luffa’s which is essentially drying them out then shaking out the seeds and preparing them for sale. 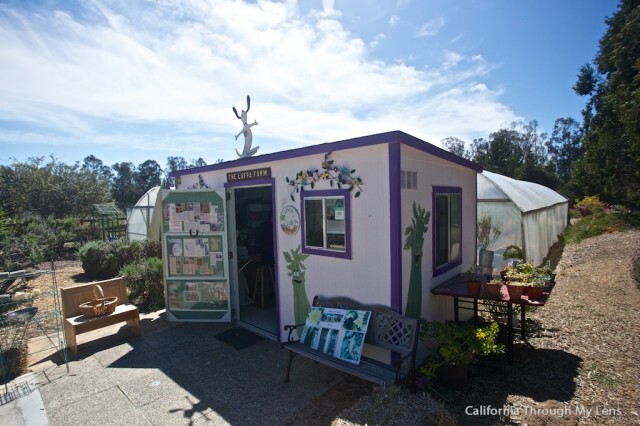 He also took us to their herbs secretion which they use for creating all the soaps they sell. The tour was done as fast as it started but it was great for a quick and informative understanding of this weird plant. The shop had all shapes, sizes and delicacies of luffas as no two luffas are the same. 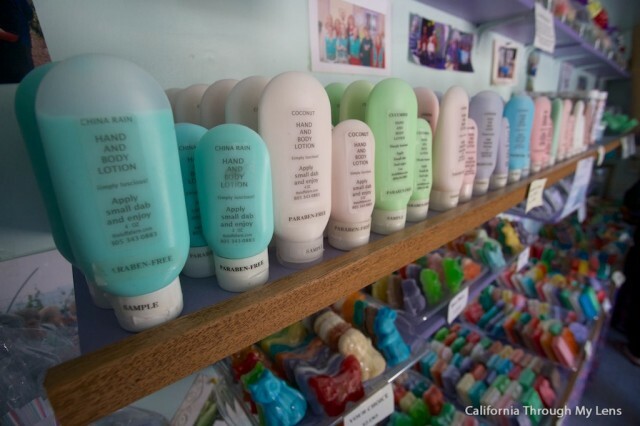 Amie grabbed one of them and a pet soap they make there for a total of 12 bucks I believe. After that we head back to the freeway and onto our next stop. I have to say though this is a fun adventure that is free for the whole family and I really do recommend it. I am glad I can now tell people all about how luffas are grown and it will blow their mind I am sure.